10.8" x 10.9" stitched on 14 count. 8.4" x 8.5" stitched on 18 count. 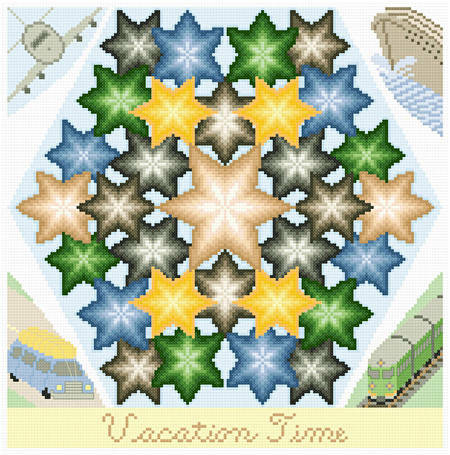 Kaleidoscope - Vacation Time cross stitch pattern... The kaleidoscope design is surrounded by images of modes of transportation used to reach vacation destinations. Whole and a few back stitches are used. Colors may be changed as desired.